What are you waiting for? You just found the perfect floor runners for hallway, kitchen, bathroom, entryway, that are non-slip, waterproof, waterproof and washable! 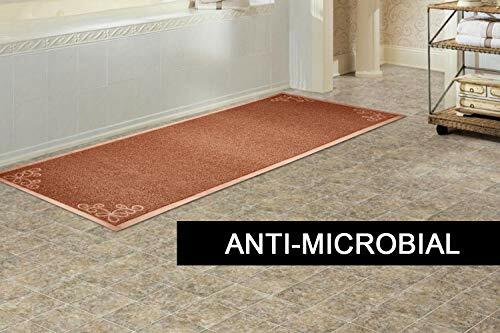 Get your new 2×6 neutral runner rug made of 100% rubber antimicrobial material today! 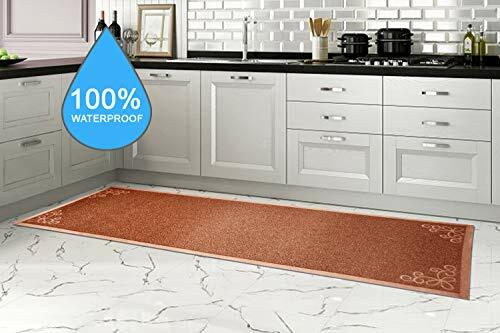 ✔ These effective low profile thin runner rugs are made of 100% rubber material that is heavy duty, non-slip, and easy to clean and wash with a modern contemporary design. ✔ Popular colors in brown and grey floor runners with low profile design will lay flat on the floor and always stay in place. ✔ 1/4 inch low clearance won’t catch under doors. ✔ The crevices and looped material will catch and trap dirt and mud to help reduce dust and debris from tracking through your home. Rated high wear resistance. ★ The extra wide 6 ft runner rug will fit in front of a sliding glass door, behind the couch, in the hallways, in front of the tub or shower, over hardwood floors, or as a bedside runner, entrance runner, or foyer runner. 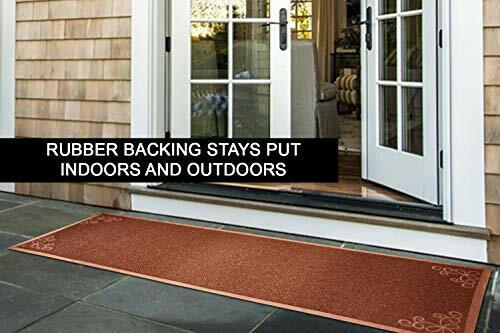 ★ Waterproof material that doesn’t mold or mildew makes them perfect for slippery concrete walkways near a pool or hot tub, for use as a kitchen runner mat or business entry runner. ★ Made of the same material as the popular cat litter mats and pet feeding mats, these runners work great under a litter box to give plenty of space for kitty to wipe her paws and save you from sweeping up the kitty litter mess. Use it as a pet feeding mat under your dog bowls and water bowls to catch the mess and make clean up a snap. GET ONE FOR EVERY FLOOR RUNNER NEED TODAY! NON-TRADITIONAL 100% RUBBER MAT: Extra Large size 2 x 6 runner rugs with 1/4” LOW PROFILE thickness. 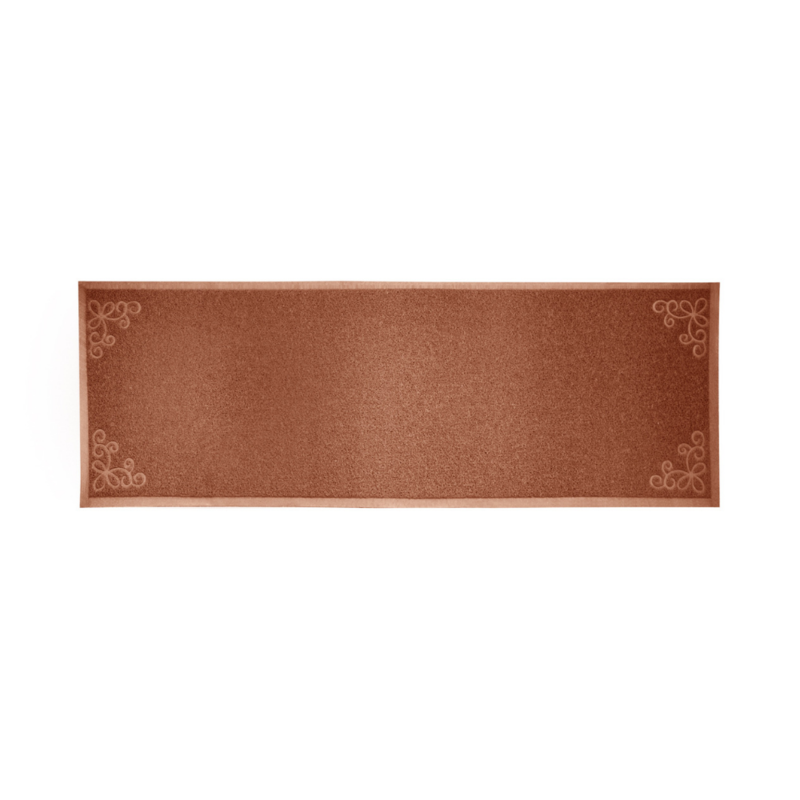 Use this practical flooring mat anywhere, in the interior and exterior of your home. 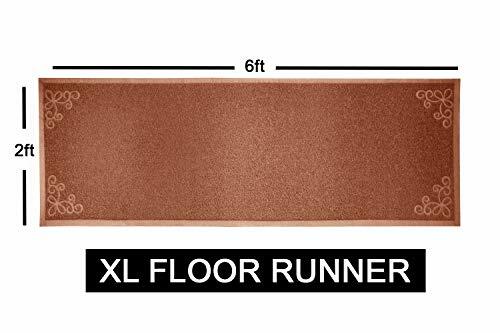 Perfect for your kitchen, bathroom, laundry room, and garage floors; anywhere a longer floor runner mat is needed, locker room, gym, outdoor on the patio, in the garden, by the pool. Great for the RV or camper. WATERPROOF AND ANTIMICROBIAL: Water does not absorb into these non slip runner rugs, but instead pools into the crevices and evaporates. Unlike thick heavy carpet runners that are hard to wash, our rubber material mats are washer and dryer safe and easy to clean. MATERIAL THICKENS AND SOFTENS WITH EVERY WASH. The non-slip looped loofah like design catches dirt making it mold and mildew resistant. Comfortable on bare feet outside shower, bath, or poolside. 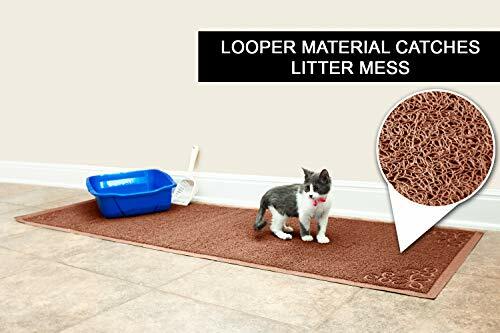 CAT LITTER MAT AND PET FEEDING MAT: Does your cat jump right over the cat litter mat under the litter box leaving a kitty litter scatter mess? This floor runner is long enough to fix that problem. Do you need an attractive pet feeding mat that is waterproof under your dog food bowls? Feed 3 dogs side by side with a natural runner rug that actually looks nice in your home. 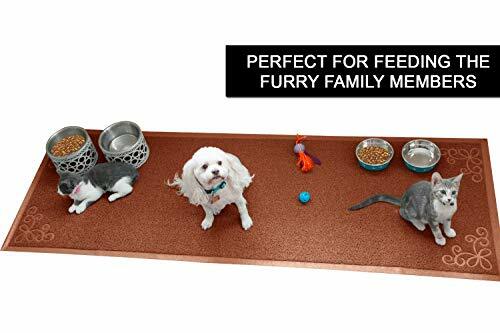 Replaces multiple pet feeding mats or cat litter mats! MESS PROTECTOR: Multi purpose antimicrobial floor liners for a public shower space, swimming pool area, or fitness center. These indoor floor mats cover leaks and messes from your dogs water bowl, icy salt covered boots coming in from the weather, great floor runner for along side cupboards, automotive shop hand washing area, kids art room, or under a soda machine to stop the liquid dripping mess. Drape it right on your car’s seat as a cover for your dog to sit on. BUY 2 or 3 to fit every need!